Insulin and amylin were administered in a basal-bolus manner with a fixed ratio mimicking a co-formulation. A dual-hormone artificial pancreas that delivered rapid insulin and amylin in a fixed ratio improved glucose control and reduced glucose variability, according to research presented at the American Diabetes Association’s 78th Scientific Sessions held in Orlando, Florida, June 22 – 26, 2018. Lead investigator Ahmad Haidar, PhD, and colleagues conducted a randomized crossover study to compare a dual-hormone artificial pancreas employing regular or rapid insulin and amylin with a rapid insulin-alone artificial pancreas in adults (n=12) with type 1 diabetes. Using the dual-hormone artificial pancreas, insulin and amylin were delivered simultaneously in a bolus manner in a fixed ratio (6 μg/U) similar to a co-formulation. Participants were hospitalized for a 24-hour period on 3 occasions, during which time they consumed 3 meals and a bedtime snack. 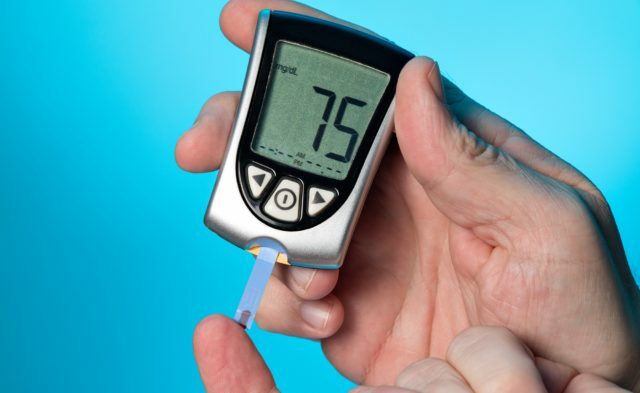 Overall, the participants assigned to the dual-hormone artificial pancreas spent more time within the target blood glucose range of 70 to 180 mg/dL compared with participants assigned the rapid insulin-alone artificial pancreas (P=.03). The time spent in the target blood glucose range during daytime was the highest in the dual-hormone rapid insulin and amylin artificial pancreas group, followed by the regular insulin and amylin artificial pancreas and the rapid insulin-alone artificial pancreas groups (78±16%, 66±21%, and 58±26%, respectively). Time spent in the target blood glucose range overnight was higher in the rapid insulin-alone artificial pancreas group followed by the dual-hormone rapid insulin and amylin artificial pancreas and the regular insulin and amylin artificial pancreas groups (77±20, 71±29, and 65±19, respectively). Glucose variability also decreased more in the dual-hormone rapid insulin and amylin artificial pancreas group vs the rapid insulin-alone artificial pancreas group (P=.01), without increasing the risk for hypoglycemia. Two participants in the dual-hormone rapid insulin and amylin artificial pancreas group reported a moderate nausea. Haidar A, Tsoukas M, Twardy S, et al. Insulin-plus-pramlintide artificial pancreas in type 1 diabetes—randomized controlled trial. Presented at: ADA 2018 78th Scientific Sessions; June 22-26, 2018; Orlando, FL. Abstract 210-P.